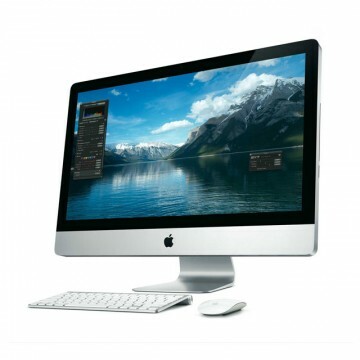 The iMac "Core i7" 2.93 27-Inch (Mid-2010) is a BTO 'Build to Order" configuration of The iMac "Core i5" 2.8 27-Inch (Mid-2010). 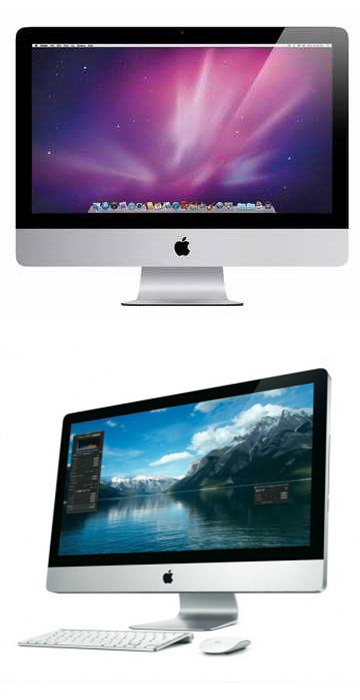 Other than processor, these two models are identical. This model is is powered by a Quad Core 2.93GHz Intel "Core i7" I7-870 Lynnfield processor with a 256k level 2 cache per core and an 8MB level 3 cache and 2.5GT/s DMI "Direct Media Interface" between the processor and chipset. The Base configuration of this model has 4GB of RAM DDR3-1333 (PC3-10600) SDRAM, a 7200 RPM 1TB hard drive, a slot-loading DVDÂ±R DL "SuperDrive" plus an ATI Radeon HD 5750 graphics processor running 1GB of GDDR5 RAM. Integrated iSight camera mounted above the 27" gloss 2560x1440 16:9 LED "IPS" display. Ports and connectivity come via 4 USB 2.0 ports, 1 Firewire 800 port, AirPort Extreme, 1 Gigabit Ethernet plus 1 2560x1600 resolution capable Mini DisplayPort.